This Australian Shepherd is looking for Love, how can we resist. My daughter is going to love these! Perfect customer relations and I will definitely purchase again! This was not my first purchase so a little disappointed. They show these on nails painted white and it seems that is the only color these work on. Since they come on a white backing I didn't know the "white" part of the dog really isn't very white. I first tried it on my plain nail (that's when I found out the dog isn't very white), but it didn't show up well. I did then put it on 2 nails that I painted white (I really didn't want full white nails) and it showed up better. Since I really didn't want white nails, I also tried it on silver but it doesn't show up well there either. 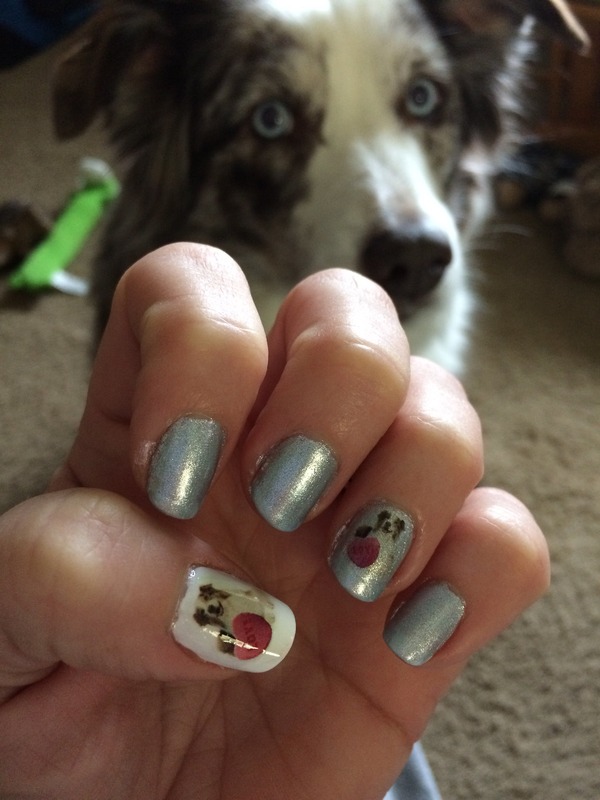 Love the idea and that it's a red Merle Aussie, but not as happy with these as I am with my previous nail art purchases.